One of the things that I have really tried to do this year is take better care of myself. Not only physically, but mentally as well. I’m taking more time to enjoy life and to give myself a break when I need one. I have always had a love for a good hot bath, but I’m not sure I enjoyed them to their fullest until now. As you know, I’ve developed a love for essential oils. I’d heard others rave about them to the point that I was skeptical, but a friend gave me some as a gift last year, so I decided to give them a go. They are a real game changer. 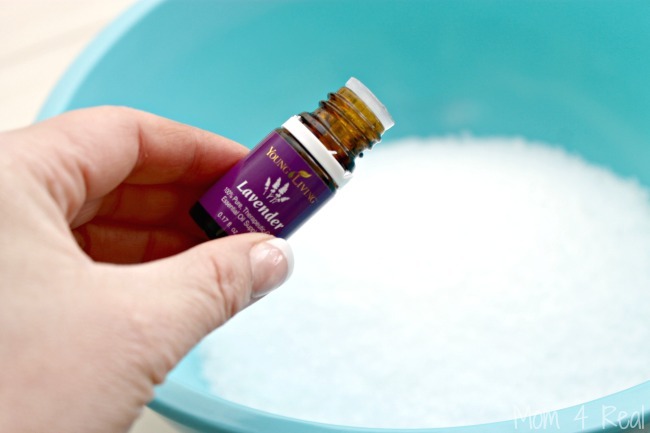 I use essential oils in all of my homemade cleansers, and have started using them for wellness too. 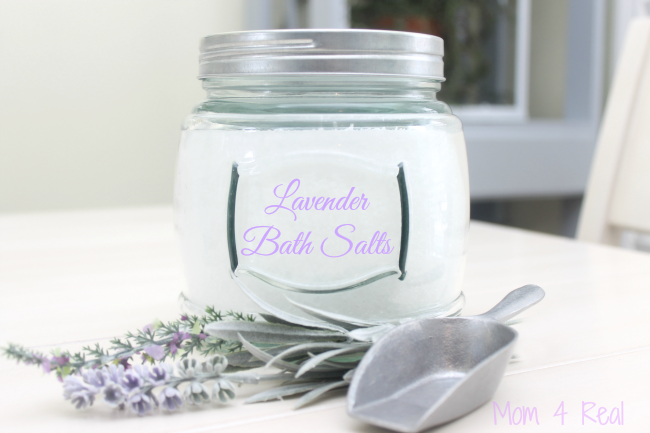 I’ve made a this EOS lip balm refill, sugar scrub, this chapped skin relief balm and now I want to share my homemade lavender bath salts recipe with you! Just a scoop or two will help you destress, detox and relax…believe me, you will feel and smell amazing after a soak in them! 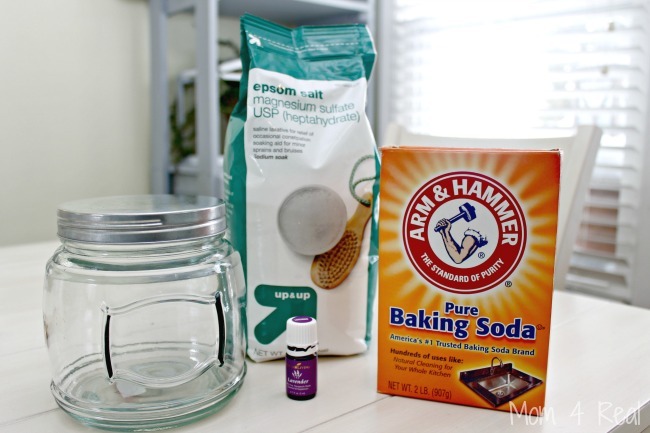 To make your own, you will need 3 cups of Epsom Salts, 3 tablespoons of baking soda and 15 drops of essential oils. I chose Lavender for its calming and detoxing tendencies. 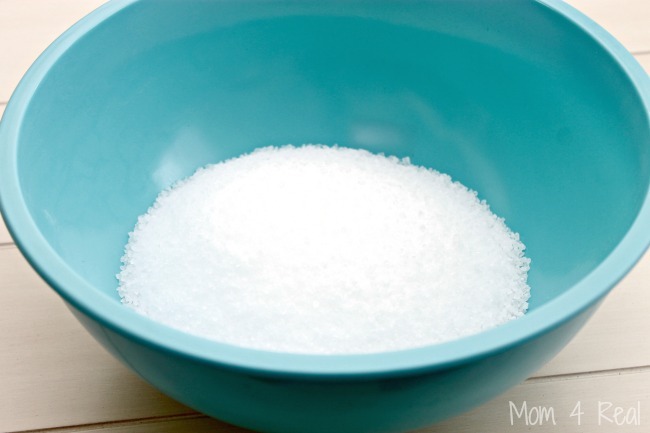 Add your Epsom Salts and baking soda to a large bowl. 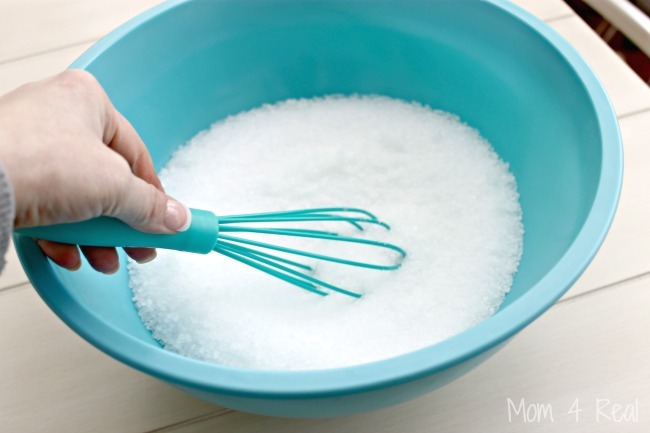 Mix really well with a whisk or spoon. Store in an air tight container and keep in your bathroom. I added a scoop to mine that measures about 1/4 cup. 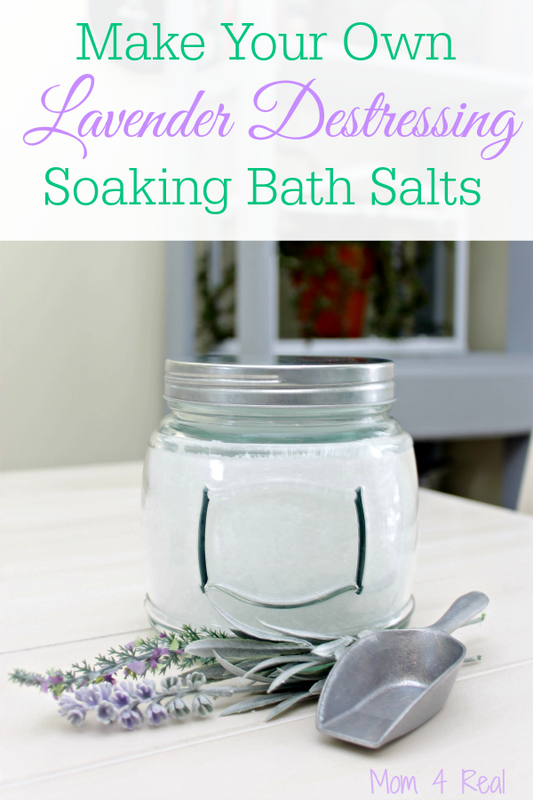 Add a scoop or two to your bath and give it a little stir with your foot.